Production of extruded aluminium profile is performed on high-technology automated equipment of foreign manufacture. Profiles are made of EN AW 1050, EN AW 6060, EN AW 6063 alloys in accordance with State Standard 8617-81 and State Standard 222333-01 requirements. Also on customer’s request there is an opportunity to produce profile from other wrought alloy. Weight of one running meter reaches 9 kg. Maximum diameter of circumscribed circle is up to 200 m with width up to 240 mm (thin profile). 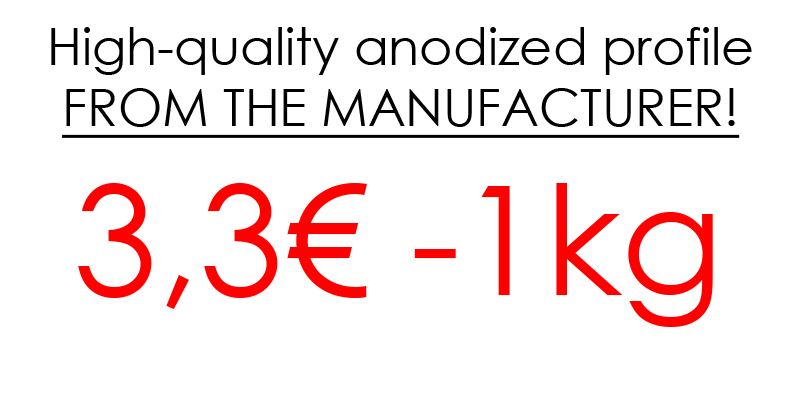 Profile length – from 2,0 to 8,0, cut is customized. CJSC “Alvid” also produces aluminium profile according to customer’s individual drawings. Die instrument is supplied by leading manufacturers from Turkey, Canada and Russia. Its adjustment and operation is carried out by highly skilled native and foreign specialists. There are etching baths used for die cleaning from aluminium in this workshop and equipment for sandblast cleaning of die surface after etching. 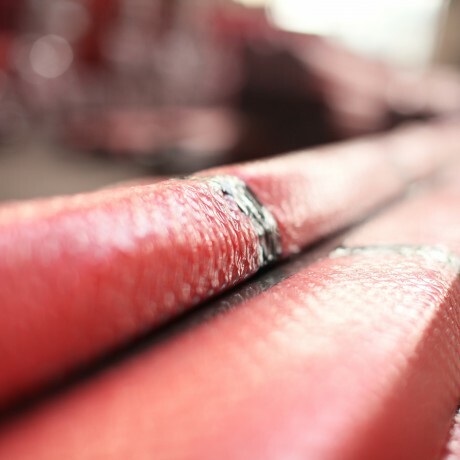 Gas catalytic nitriding allows to harden the die surface which substantially increases the amount of extruded profile from every die and lengthens the life of the dies. 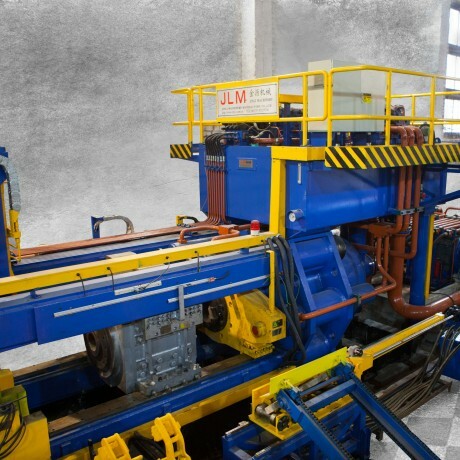 Automated extrusion lines on the base of horizontal hydraulic presses GSB0010 and JLM1800T with 1000 and 1800 tonnage, where the maximum billet diameter is 178 mm. Total capacity of the lines reaches 800 t/month of the extruded profile. Used alloys and operation modes allow to get different conditions of the material at customer’s request. For example, for alloy 6060 from soft (T4) to hard (T66). Usage of optical pyrometer temperature control of the profile on the way out of the press enables to get stable mechanical properties. Temperature test data are saved on the computer after each pressing. Bead-blasting treatment is performed on automated shotblaster machine with round steel rustproof shot CHRONITAL with S0,1-S0,2 fraction. 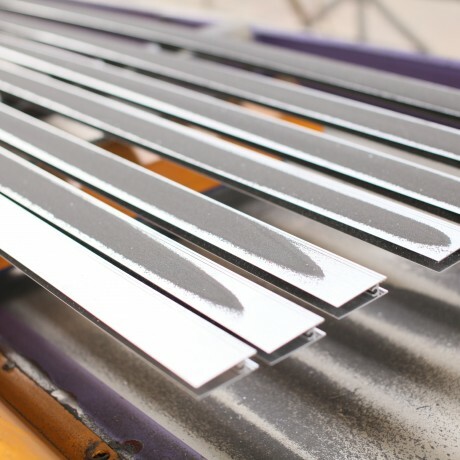 Bead-blasting treatment allows to get flat finish on the profile and entirely remove the extrusion stripes on the surface of the anodized profile. 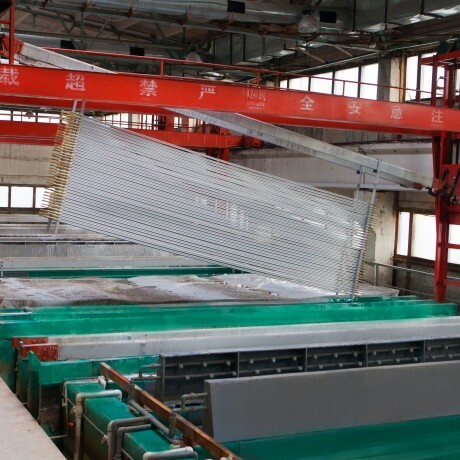 A modern anodizing line is now working in the manufacturing area of the enterprise which has considerable capacity and provides the plant with high quality finished products. 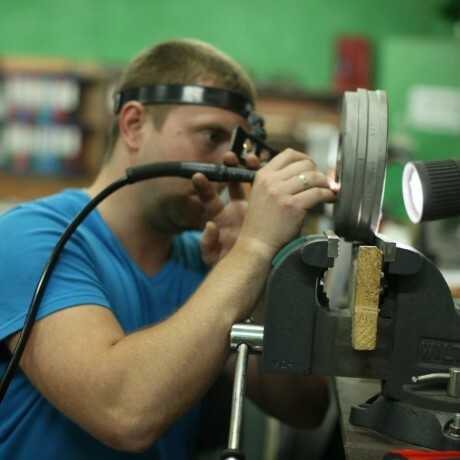 The line allows to anodize the profile up to 6,1 m long. Surface anodizing is applied for improvement of aluminium anticorrosive and decorative characteristics. This allows to satisfy various requirements in furniture and construction market development. It enables the usage of different combinations of aluminium components with traditional and modern materials. Depending on client’s requirements the profile may be packed in various types of wrapping for providing safe transportation. To protect anodized profile we are able to film the front surface. Bubble wrap and stretch film are also available. Profile is packaged in small packs and wooden pallets up to 500 kg according to customer’s wish. Pallet package helps to simplify the loading, unloading and profile storing at most.